Latest post Tue, Jan 31 2017 4:42 PM by Marianna. 8 replies. I'm hoping you guys can help with this. I'm just getting back to speed with Avid, learning the ropes again at my new job and I've just installed my recent update of Avid Media Composer. I'm currently running Avid MC 8.7.2 on a MacBook Pro, macOS Sierra 10.12. I'm having an issue launching Avid which occured on Avid MC 7 after upgrading my mac to OS Sierra. During the launch of the app, Avid for a few seconds freezes on "Initialize AVX2 Host". And then shortly after crashes. I've done what I know I could do, but any advice to troubleshoot this problem would be greatly appreciated. Have you tried removing plugins? You're not in Mac OS 10.12.3 are you? Going back to 8.6.1 and everything is fine. No I have not. Where would I be able to find the plugins that could be affecting my Avid? No I am not on 10.12.3, I'm still on 10.12. I'm not willing to upgrade just yet to 10.12.3 until this porblem is resolved and until I also know if MC 8.7.2 will work on that version of Sierra. Just checked and found the AVX Plug-ins page and looks like I have no plugins at all. Just to note, I just installed Avid MC 8.7.2 after uninstalling Avid MC 7.0.6.3. I've now just recently tried uninstalling all of Media Composer. I reinstalled the program and yet again it keeps crashing. Once again I'm not on Mac OS 10.12.3. I'm on 10.12. In the read me it says MC 8 should run on macOS Sierra 10.12. Should I completely uninstall all of my Avid files and Media Composer? Like a complete purge and then install everything to see what happens? Is there anything to bypass this problem? 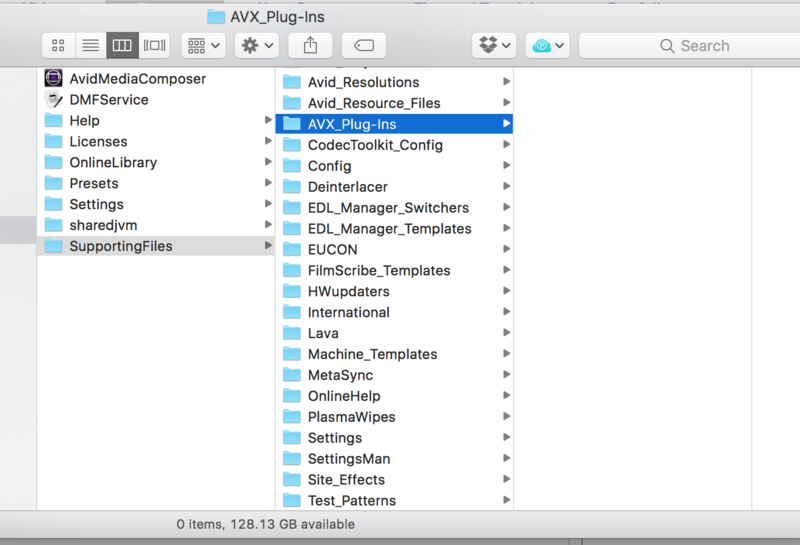 Can you drag the AVX folder to the dekstop and see if it crashes... My bet is its an incompatible plug-in. I took Marianna's approach. Removed all the avx plug-ins and began moving them back in one by one. I discovered the conflict was an older version of Red Giant Magic Bullet. I updated the plug in suite and MC launched with no problems.